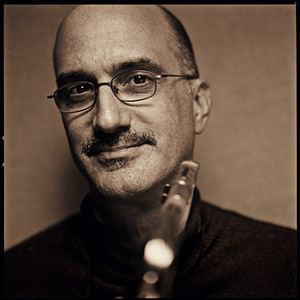 By the early 1970s it was apparent that Michael Brecker was a soloist to be reckoned with. Most of his early work is marked by an approach informed as much by rock guitar as by R&B saxophone. After Dreams, he worked with Horace Silver and then Billy Cobham before he and brother Randy teamed up once again. The newly formed Brecker Brothers Band played fusion that was equal parts bar band, Monk, and Sly Stone. The band followed the trail blazed by Miles Davis's 70s bands and Weather Report, but with more attention to structured arrangements, a heavier backbeat, and a stronger rock influence. The band stayed together from 1975 - 1982 with consistent success and musicality. At the same time, Brecker put his stamp on numerous pop and rock recordings with brief but energizing solos. His more notable collaborations include those with James Taylor, Steely Dan, Donald Fagen and Joni Mitchell. During the early 80s he was also a member of NBC's Saturday Night Live band. Brecker can be seen in the background sporting shades during Eddie Murphy's James Brown parody, ?Get In The Hot Tub?. After a stint co-leading all-star group Steps Ahead with Mike Mainieri, Brecker finally recorded solo in 1987. His eponymously titled debut album marked his return to a more traditional jazz setting, highlighted his compositional talents, and featured the EWI (Electronic Wind Instrument), which Brecker had previously played with Steps Ahead. Given a chance to stretch out on his solo projects, Brecker took full advantage and showed off his considerable tenor chops. His following solo releases, as well as Brecker Brothers reunion albums, maintain the high standard of musicianship established on his first solo album. He released many albums as leader throughout the 1990s and 2000s, winning many Grammys; his solo and group tours consistently have sold out top jazz venues in major cities worldwide. A true virtuoso, his distinct tone, jaw-dropping technique, and harmonic daring are instantly recognizable. All of this, combined with his unmatched versatility, has made him one of the most recorded and influential saxophonists since 1975. He died 13. January 2007 after two and a half year of battle with MDS and then Leukemia.